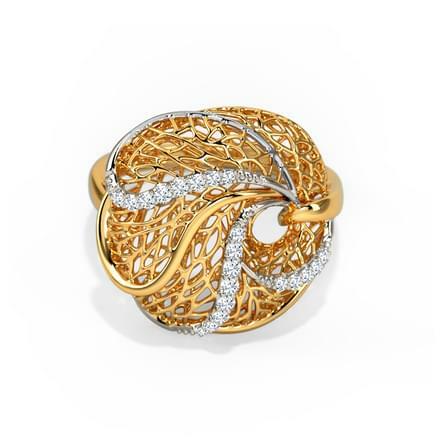 Beautiful expressive rings are a woman's lifeline. Cocktail Rings are every woman’s first choice when picking jewellery matching with their outfits. The collection of Gold Cocktail Rings by CaratLane is stunning and outstanding in design and variety both. 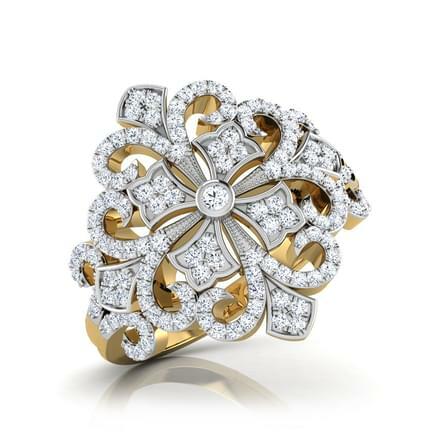 Large rings add that missing spark to even a simple dress and complement all traditional dresses perfectly. 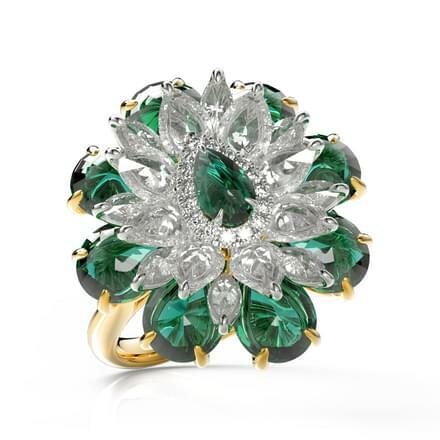 The vast collection of Cocktail Rings by CaratLane has around 47 stunning designs to choose from. Looking for matching Cocktail Rings? 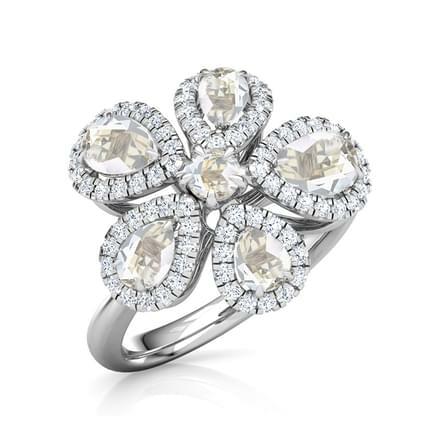 the search ends on CaratLane’s extensive selection of Cocktail Rings in endless designs for every taste and choice. 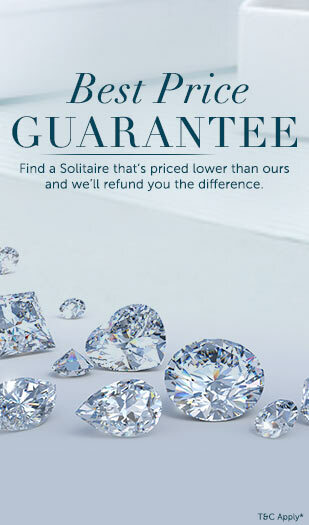 Every single ring by CaratLane has a unique story behind it, with endless options in Cocktail Rings from gold Cocktail Rings to diamond Cocktail Rings. 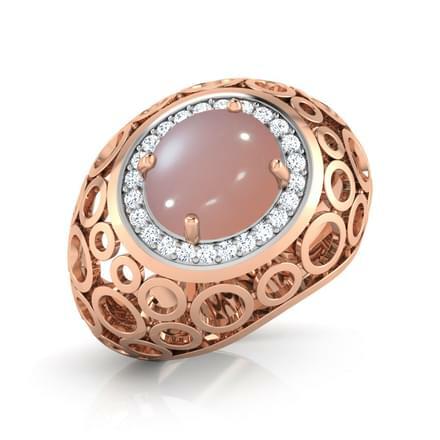 Exclusive designs and intricate craftsmanship mark the Cocktail Rings collection for women. The price range of the Cocktail Rings varies between Rs. 10,000 to Rs. 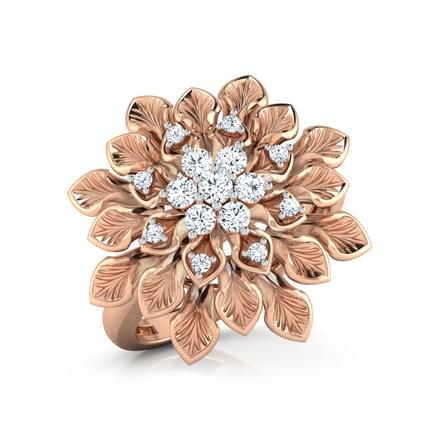 2,50,000 for rings which are set in yellow gold, white gold, rose gold and double-toned gold rings. 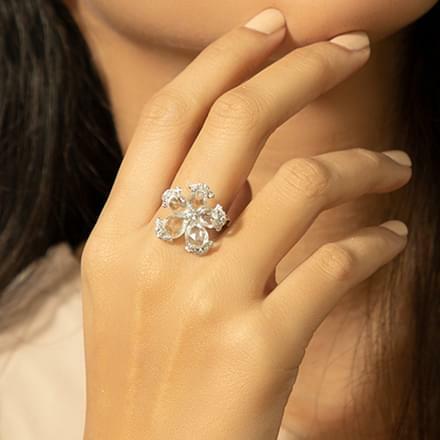 The collection of Cocktail Rings by CaratLane is based on various themes such as classic, contemporary, designer, floral, traditional, knots and ethnic. 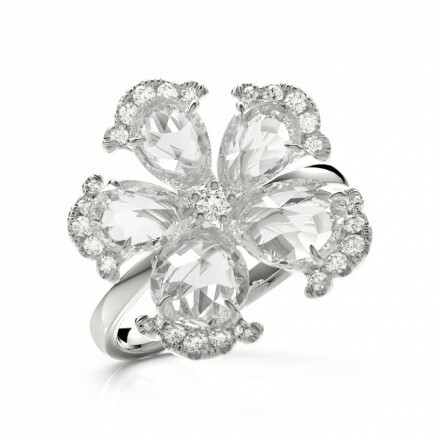 While a beautiful cocktail ring can easily steal the show, the glamour of Diamond Cocktail Rings can be sworn by. 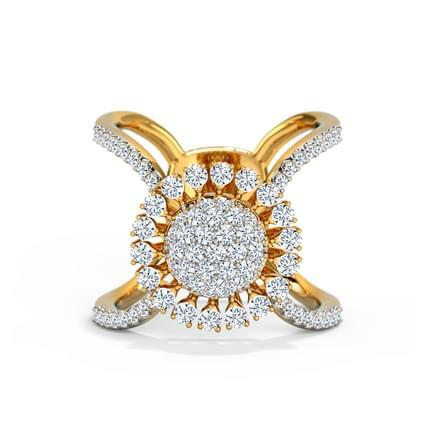 Diamonds studded in big and marvellous rings are a breath-taking combination for women to go for. 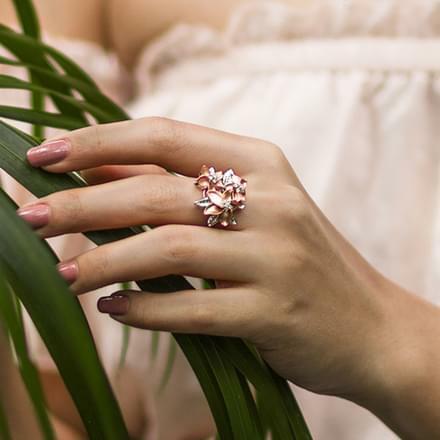 The Dahlia Ring from the Fleur collection and the Pink Chalcedony Bubble Ring, set in 18K rose gold with diamonds are sparkling beauties in pink. 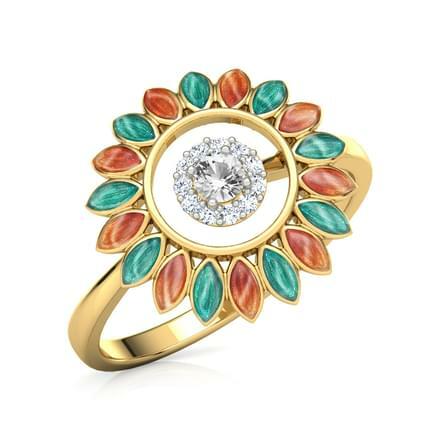 The colourful Gemstone Cocktail Rings by CaratLane include the Aaliya Ring, set in 18K yellow gold with diamonds, emerald and sapphire or the Hemera Pearl Layer Ring, set in 18K yellow gold with diamonds do justice to the gemstones and diamonds together. 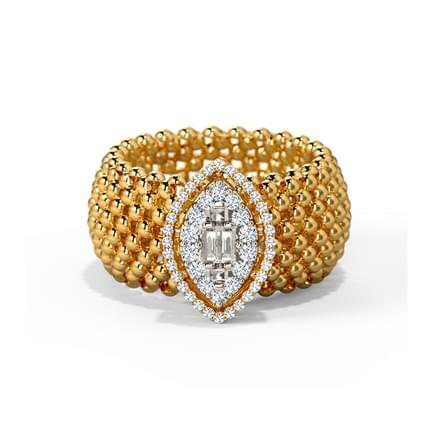 The Nova Victorian Diamond Band and the Venus Diamond Bouquet, set in 18K yellow gold with diamonds serve as great reminders of the vintage era jewellery. The Cocktail Rings under the Dhokra collection on CaratLane are a perfect specimen of beautiful and intricate craftsmanship set in gold. 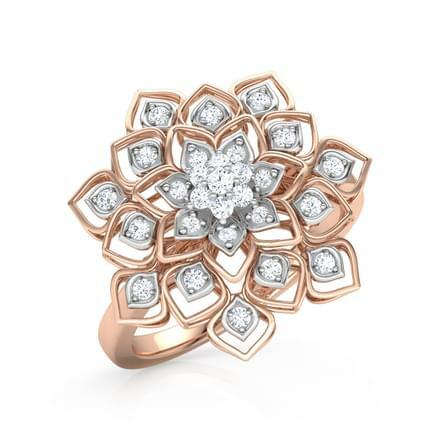 The Hex Cutwork Gold Ring from the Dhokra collection, set in 22K yellow gold is a stylish hexagon-shaped cocktail ring with beautiful cutwork. 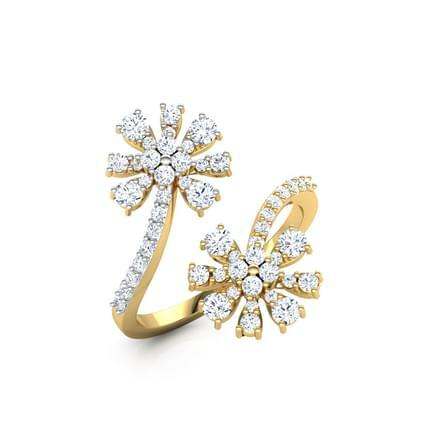 The Square Deco Gold Ring from the Dhokra collection, set in 22K yellow gold is another trendy gold Cocktail Rings design. 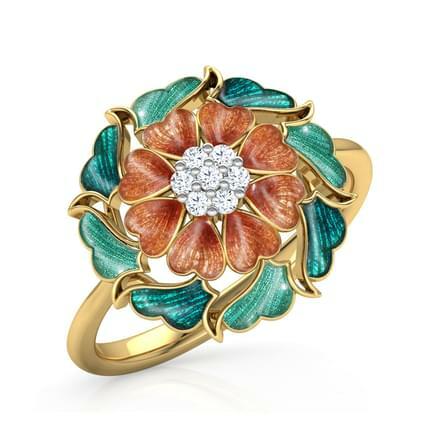 Gold jewellery inspired by flowers dates way back in history. 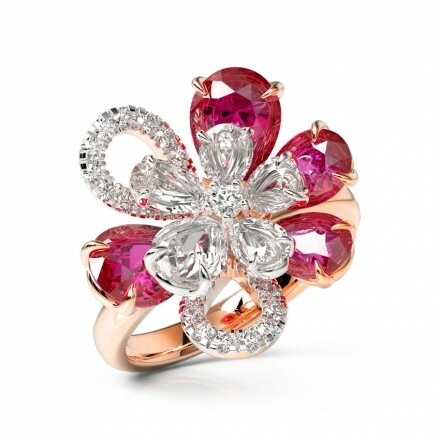 CaratLane has created a special range of Cocktail Rings that are floral themed. 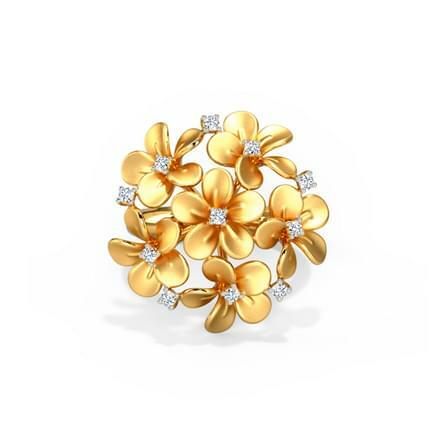 The Bloom Floral Ring from the Fleur collection by CaratLane, set in 18K yellow gold with diamonds is a very fashionable pair of diamond Cocktail Rings inspired by blooming flowers. 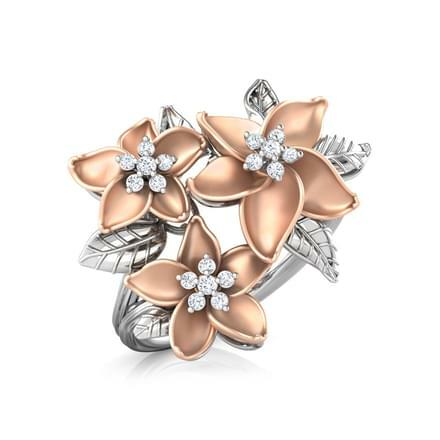 The lotus inspired Gaura Lotus Gold Ring from the Uttarakshin collection is set in 22K yellow gold, and is a delicate and colourful beauty. 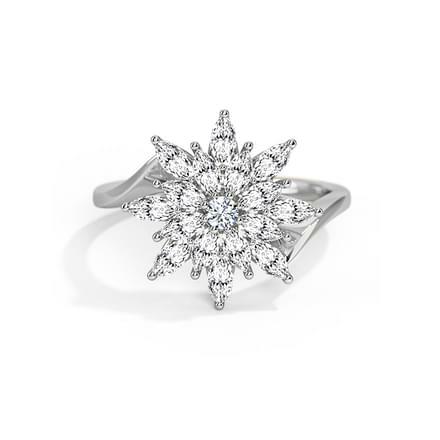 The Sunflower Ring from the Fleur collection, set in 18K white and yellow gold with diamonds is a perfect amalgamation of trendy and classic designing in gold Cocktail Rings for women. Gemstone studded Cocktail Rings are a perfect match for every traditional dress. 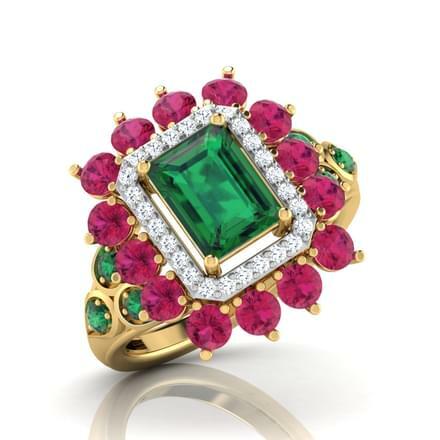 Colourful gemstones make for dazzling gold Cocktail Rings for women. 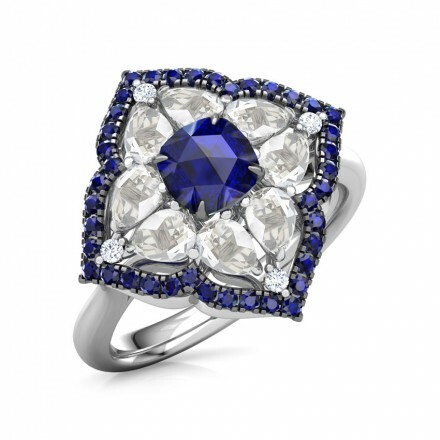 Check out CaratLane’s assortment of gemstone and diamond Cocktail Rings for women. The Ruby Double Halo Ring, set in 18K White Gold with diamonds is a stunning combination of ruby and diamonds studded in gold. It is a design that is sure to win every heart at the first look itself. 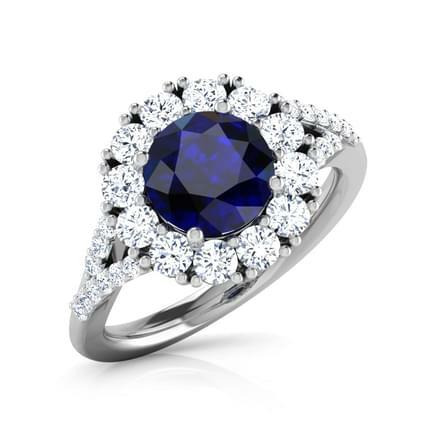 The Halo Twinkling Ring, set in 18K white gold with diamonds and synthetic sapphire is like a midnight beauty dressed in blue. 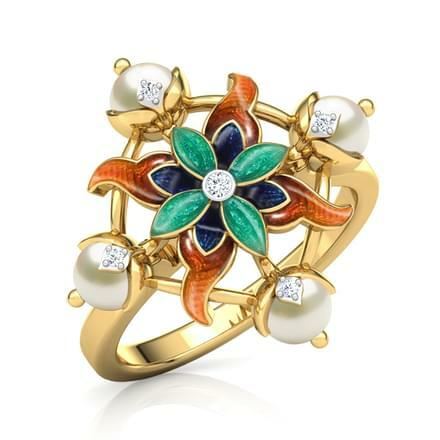 This is a very mesmerising piece of jewellery. 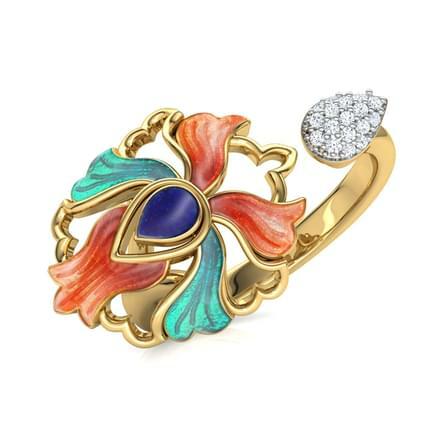 The Ikat collection by CaratLane is an ethnic themed collection of Cocktail Rings, made colourful by the use of enamel which is an age-old jewellery art. The Sunflower Gold Ring from the Ikat collection, set in 22K yellow gold is a classic piece of gold jewellery for women. The ring inside a ring design of the Encircle Gold Ring from the Ikat collection, set in 22K yellow gold is a modern take on traditional designing of gold Cocktail Rings. The Grainy Hex Gold Ring from the Ikat collection, set in 22K yellow gold is a royal design of gold Cocktail Rings. 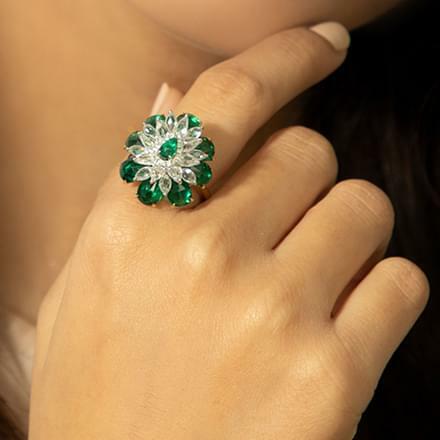 CaratLane caters to its customers through a huge collection of Cocktail Rings made available online. It promises its customers hassle-free online shopping through various payment modes such as debit or credit cards, net banking and online funds transfers. Customers can avail its lifetime exchange and 30-day free returns policy along with its Try@home option to try the ornaments at home.